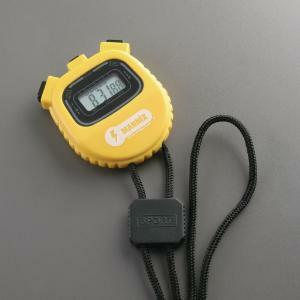 This water-resistant stopwatch is versatile and easy to use. It features a 12/24-hour clock, a daily alarm with hourly chime and snooze option, and a single-line display. Users can count up to 23:59:59 with 1/100 second precision. Ordering information: The watch includes a battery.